Uniontown Cemetery is a significant physical landscape remnant of the short-lived community of Uniontown, a pre-Civil War settlement that served as a trading post, pay station, and ferry crossing along the Kansas River. It reflects, in part, an important period in the early history of the area when thousands of immigrants passed through the Potawatomi reserve on their way west. 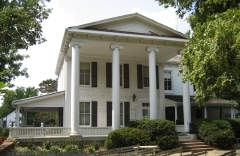 The settlement, a place where Native American and Euro-American cultures converged, thrived for a short period between 1848 and 1852 and is noted in the historical record as an important river crossing and supply stop. The cholera epidemic of 1849 and 1850, coupled with the success of other area river towns like Topeka, spelled the settlement's eventual demise. Although the settlement existed only a few years, the cemetery evolved into a rural family cemetery. Today, there are no extant buildings associated with the early settlement, and the exact location of the abandoned town site is not known. The small cemetery includes three separate marked burial areas each enclosed with a dry-laid native stone wall. Two of these enclosed areas are family plots dating primarily to the 1860s and 1870s. 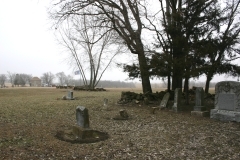 The third area is located in the center of the cemetery and is marked by a circular stone wall that marks a mass grave of Potawatomi from the cholera outbreak in 1849 and 1850. 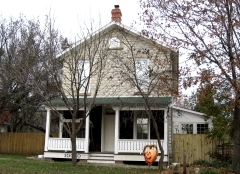 The cemetery was nominated for its association with the early settlement of Shawnee County. 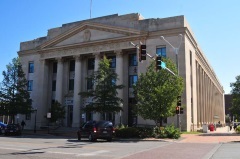 The United States Post Office and Court House in downtown Topeka is a Classical Revival-style building completed in 1933. 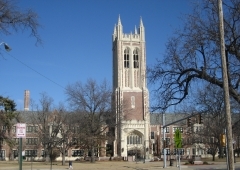 It was nominated to the National Register of Historic Places for its significance in the area of architecture as a good example of the Classical Revival style applied to a multistory Federal building and in the area of law as the site of the 1951 district court case of Oliver Brown v. Topeka Board of Education. On August 3, 1951, in the building's court room, Judge Walker Huxman found that the Board of Education's segregation policies did not violate Plessy v. Ferguson as the plaintiff argued. The decision was appealed to the U.S. Supreme Court, which ruled on May 17, 1954 in favor of the plaintiff, thus making illegal racial segregation in the nation's public schools. 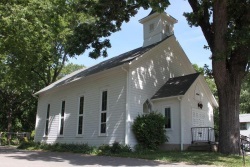 The Wakarusa Presbyterian Church is located in the unincorporated village of Wakarusa south of Topeka in southern Shawnee County. 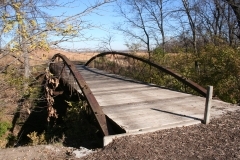 The town of less than a few hundred residents is situated along SW Jordan Road, a north-south thoroughfare that runs parallel to the former Atchison, Topeka & Santa Fe (ATSF) Railroad line. The small, wood-frame church is located at the south end of town within a grove of trees, just north of the Wakarusa River. 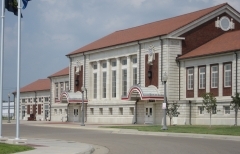 It was built in 1878, several years after the town's founding, though within just a few years of the arrival of the ATSF railroad, which initiated a period of growth and development in and around the community. What remains of this small, unincorporated settlement was largely developed during the late 19th and early 20th centuries, coinciding with the growth of the railroad. Like other small towns in Kansas after World War II, Wakarusa's school closed and residents moved away, but the church congregation thrived. 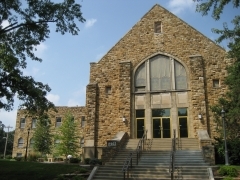 In addition to serving as a house of worship, the building has served other functions as a community center and polling place for the last half-century. It was nominated for its local significance in the areas of exploration/settlement and social history.